Schedule subject to change. Main Stage music ends at 11pm. 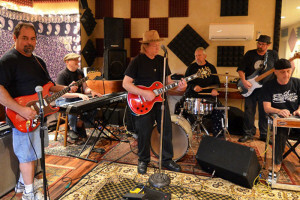 Rich Lerner & The Groove are a high energy roots rock and roll jam band with an edge. Singer-songwriter guitarist Rich Lerner founded this festival in 2012. 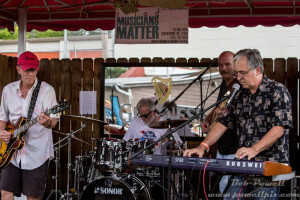 The rest of the band includes Sam Seawell-drums, Steve Taub-keys, Sammy Smith-lead guitar, Craig Pannell-bass, and Bob Sykes-pedal steel. Put on your dancing shoes for this group. 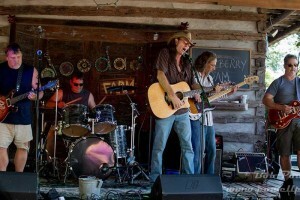 Gooseberry Jam is an Americana style group with true grit and a southern fried taste of soul. Bandleader Darrell Craig fronts with an acoustic guitar and a lot of style. Great original songs and covers too. 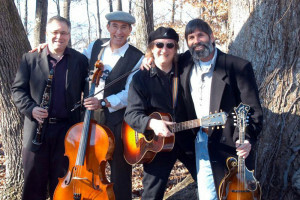 Sinai Mountain Ramblers play klezmer music which is Eastern European Jewish folk music. It’s a bit similar to gypsy music but this group plays it with a southern swing and an Appalachian flavor. Instruments include mandolin, clarinet, cello, melodica, and guitar. 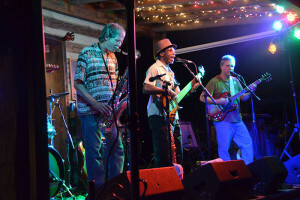 Ladies Auxiliary is one of the hottest blues bands in the southeast. Sheila, Julie, Virginia, and Eric are top notch. They always leave the crowd wanting more. 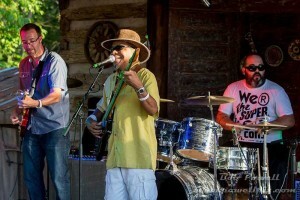 House of Dues brings together the genres of blues funk and R&B for a very satisfying blend with a distinct New Orleans infused funk. David Bolton, Chuck Cotton, Arnett Diggs, and Steve Blake know how to give the audience a good time. 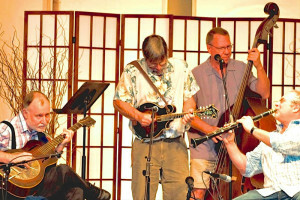 Swamp Nots play old-time music and southern swing with a lot of humor, style and dynamics. Co-founder Gary Silverstein is one of the areas finest mandolin players plus add Rich Hartness acoustic guitar, Doc Fribush on a variety of instruments and Benny Moore on stand up bass and you got one fine band. 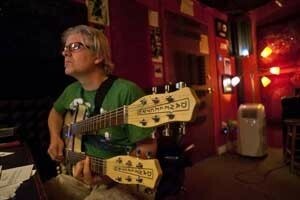 Midnight Sun is the string driven collaboration between Kent Doobrow and Kev Martin. 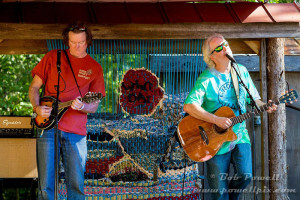 They play a wide variety of rockin’ jam music – covers and originals. Kent & Kev have performed all over the country. The Mighty Fairlanes play blues, rockabilly and everything in between with passion and sizzle. Mark “BuddyRo” Harrison, Glenn Bickel, Little Kenny Graham, and Chip “Memphis” Click bring it big time every night. 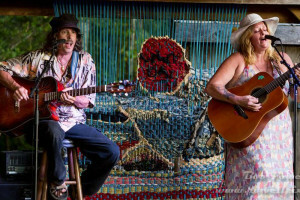 After crossing musical paths for ten years Dave Rogers and Sonia Kelley found themselves walking the same path for the love of great music. 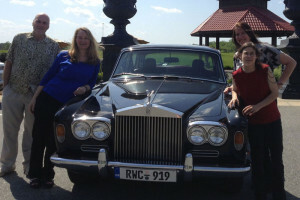 Playing classic hits, deep cuts and original material, they have created a uniquely blended sound with something for everyone. As the saying goes … They goes together likes Peas and Karrots. Dean Driver – I dig distinctive melodies, and I love songs with honest, heartfelt lyrics that engage and surprise, so I focus on those aspects when I’m putting songs together. So my music has a unique flavor. I bring this youthful, never-done-this-before energy to my songs, but I write from the perspective of someone who has been around the block a few times. 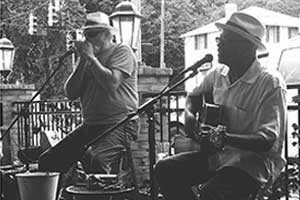 Long time local favorites Bubba “Bump” Klinefelter and Lorenzo “Logie” Meachum will make their first appearance at Doodad Farm for Groove Jam V. Blues and storytelling at it’s finest! 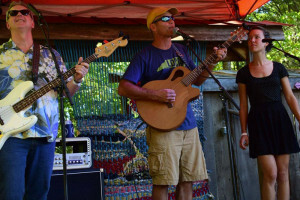 Benjy Johnson, leader of Sonic Prophets, Benjamatic and Earthtones Recording Studio will make his first appearance at Doodad Farm for Groove Jam V playing two solo sets.